In today’s day and age, there are lot of unconventional jobs and with that there are more number of people with irregular flow of income. 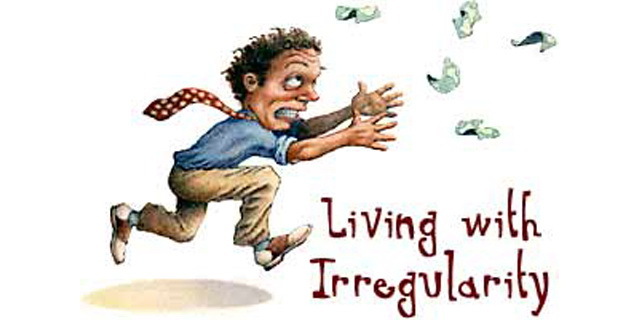 This irregular income can affect their finances too. There was a time when having a job meant getting regular income, having periodic appraisals, and planning for a retirement through EPF, Gratuity and some own investments. I still remember some old Bollywood movies in which the hero would come home yelling through the roof, addressing the wife or the mother saying “….suno, suno, yeh lo mithai khao.. meri ‘tarraki’ hogayi…. ab hum woh sab karenge jo socha tha….” (listen listen, have some sweets, I just got promoted today at work, now all our dreams will come true). But that scenario is unpredictable in today’s world. People don’t have stable jobs, and there are a lot of entrepreneurs and others occupied with unconventional jobs, which are contractual in nature which makes it difficult to have a regular flow of income. While the annual income can be handsome, but it has become more and more unpredictable and this irregular income can impact your finances. When you talk about building a corpus for your future or planning for life’s goals including retirement planning, it all boils down to investments and how good your investment plan is. The most important factor in all this is DISCIPLINE. Discipline in investments or disciplined investment, however you put it, is the key to wealth building and financial freedom. Even simple investments like an SIP or Recurring Deposit, can go a long way to build a good corpus for you over the long term. But these need regular disciplined investments at regular intervals and this at times becomes difficult with irregular income, since one month you may have the money the other you may not and in the following month you have even more but not so much in the month to follow. This irregularity in income can stop you from making long-term investment decisions since you cannot predict the future income, and even if you are sure it will be great, somewhere deep-down inside you will be skeptical of taking a long-term investment decision and which in turn leads to short term investments which may not be that good for your finances. 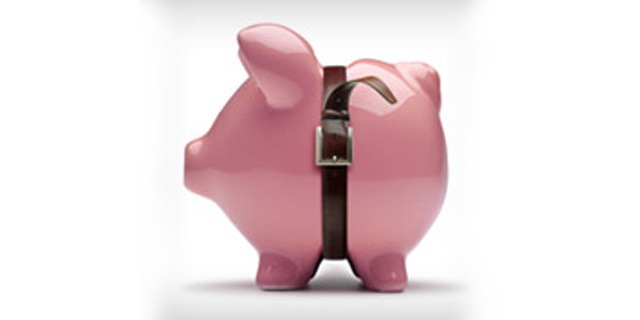 As soon as you receive an income, start saving a part of it for the contingency fund. Keep 6 months, contingency fund at all times. This is your cushion in case of emergencies. This fund should be able to meet each and every monthly expense for the next 6 months in case the income stops. You can save more too, but 6 months is ideal. The account in which your income is deposited and the bills are paid should be separated from the account in which you intend to save. Open a new account solely for the purpose of savings and investments. All your expenses will go from the expense account and all the investments and savings will be from the other savings account. Make a regular fixed minimum monthly contribution to this account and find an amount you are comfortable contributing to it every month irrespective of your income. Of this contribution, try and invest 70-75% in an SIP, RD or other sound investments options. The remaining savings can be for your own use and splurging at times. The beauty of irregular, unconventional income is that it has its fair share of surprise bonuses or windfalls wherein you earn more than you anticipated. This additional, unexpected gain should be contributed to the savings as well. Remember there will be times when you will earn less than anticipated and hence merely putting everything in expenses account is not advisable. Your savings should also receive a bonus. PPF is probably among the most flexible kind of investment option that you will have. You can make contributions as and when you have surplus funds or regularly as long as it is a minimum Rs. 500 in a financial year and not more than 1 Lac. It is also a great Tax Saving investment too and also a good way to build a retirement kitty. And as with anything else, the more you can cut down on your expenses, the more you are likely to save, and this goes with anyone be it regular income or irregular income. So yes, save, save, save and invest.